GLENDALE – The first thing that hits you when you walk into Escuela de Electricidad Automotriz is the scent of auto parts and coffee. A large white truck is mounted on a lift in the middle of a spacious, echoey room along with tires, engines and other parts spread all over. This shop looks, at least on the outside, like so many others in the Valley. But inside, its uniqueness comes from its owners, Mirna and Fernando Cote. 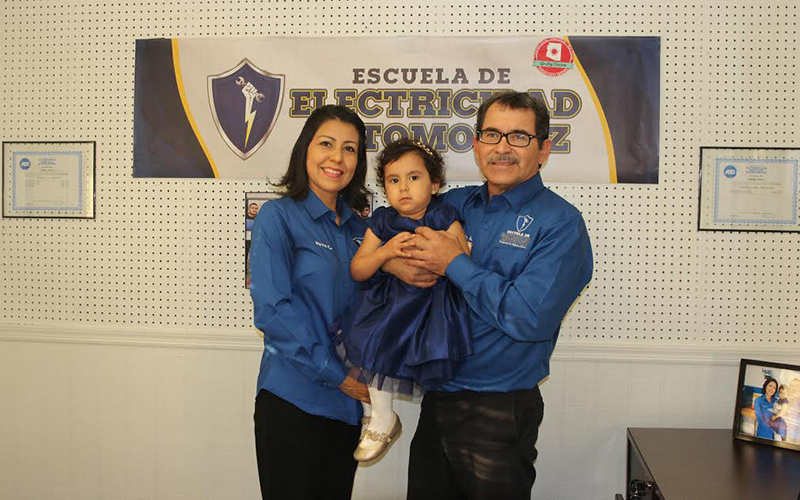 The married couple who immigrated to the United States from Mexico, were driven by their vision to open an automotive-electric school. The business has been up and running for a year, something that seemed, at one point, like an unattainable dream. Fuerza Local Arizona, a program under Local First Arizona Foundation, was established to promote the growth of Latino-owned businesses. Fuerza Local Arizona introduced its Fuerza Local Business Accelerator Program in 2013. The six-month curriculum, which is free and open to anyone, is taught in Spanish and offered in Phoenix, Mesa, Maryvale and Avondale. Jose Urteaga, membership and programs manager for Fuerza Local Arizona, said those locations were not chosen randomly. “We offer them in those cities because that’s where we’ve been able to assess that there is need,” he said. Fuerza Local Arizona started the business-accelerator program mainly because it found the Latino community was being targeted by predatory lenders. Students put away a small amount of money each week, and at the end of the program have $1,000 in their savings, which is what helps them build their credit score. Students then are eligible to earn a $1,000 scholarship from Mari Sol Federal Credit Union, which partners with Local First Arizona. “So now, they’re graduating with $2,000 to put towards their business and a credit score,” Urteaga said. Along with Mari Sol, Local First’s “Localist” giving program also helps fund students. 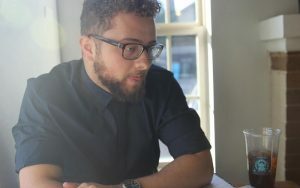 Community members who want to be a part of the initiative can become individual donors by investing in Latino businesses. Three students graduated from Fuerza Local Arizona’s first accelerator class in 2013. Five years later, its ninth class is expected to graduate 60 students on Jan. 24. Mirna, who’s part of that 58 percent, is proud of herself and all the other businesswomen in her community. In the past, many women have focused primarily on being mothers and wives, she said, and not necessarily on opening their own businesses. Mirna and Fernando are on their third generation of students and have employed two of their previous students. There was fear and hesitation before opening their business, she added, but no more. “With time, it’s gone away,” she said.